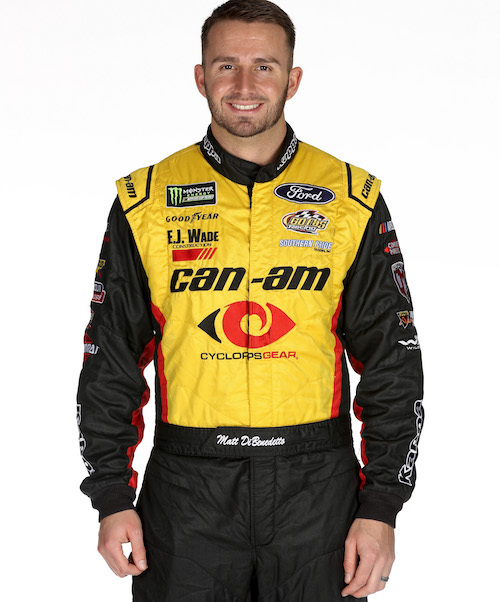 In a press conference at the NASCAR Hall of Fame in Charlotte, N.C., on Wednesday, Leavine Family racing announced Matt DiBenedetto as the driver of its No. 95 Monster Energy NASCAR Cup Series entry next season. The racing team also announced a manufacturer change from Chevrolet to Toyota that will include a technical alliance with Joe Gibbs Racing. Through the alliance with JGR, Leavine Family Racing will receive cars from Joe Gibbs Racing and engines from Toyota Racing Development. DiBenedetto will finish the 2018 season as driver of the No. 32 Go FAS Racing Ford that he has driven the last two seasons. Prior to joining Go FAS Racing, he drove for BK Racing for two years. The 2019 season will be his fifth in the Cup Series. He has four-career top-10 finishes in 134 races. DiBenedetto’s best finish, to date, was a sixth-place finish at Bristol Motor Speedway in Tennessee in 2016. Regan Smith will complete the season in the No. 95 for LFR. Kasey Kahne, who drove the No. 95 through the first 25 races of the year, was supposed to finish the season in the car before retiring from NASCAR competition at the end of 2018. But a health issue ended his season in early September.